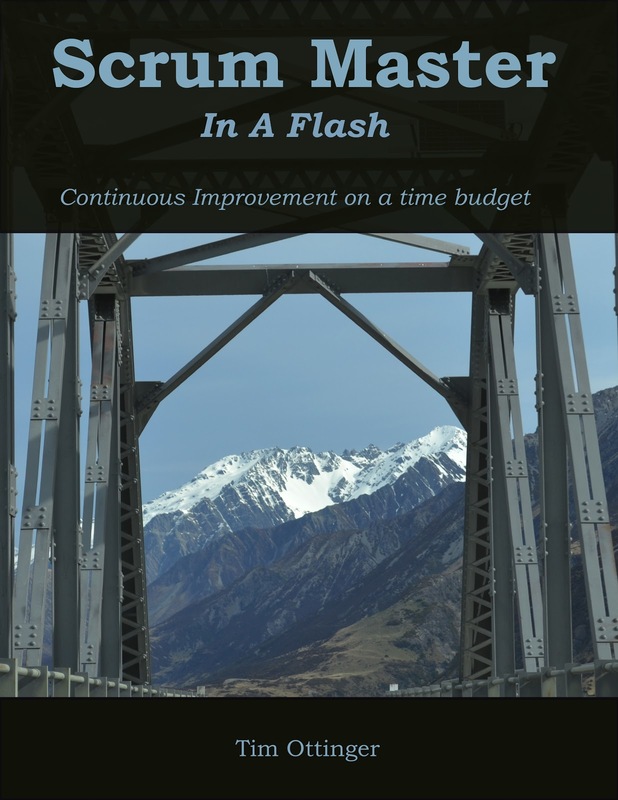 Agile Otter Blog: A LeanPub book for Scrum Masters? A LeanPub book for Scrum Masters? I've had a side-project that started because I've been working with dual-role (and one triple-role) Scrum Masters lately. I appreciate how hard it is for them to be good at several things simultaneously. Once I started collecting techniques for them, I figured I should publish it somehow. I was thinking of a blog, but Joshua Kerievsky (our leader at IndustrialLogic) had mentioned possibly using something like LeanPub. I really need to learn to release a product early and use feedback to guide it to be something that really addresses a market need. I've invested some odd hours here and there on this, and have gotten some friends to look it over. Sadly, most of them who are dual-role SMs haven't had time. Still, here is a chance for me to learn in a lean startup kind of way, releasing early and often, and let the market help me develop the product further. I'm interested in hearing what you think of the cover, and the idea in general. I've not settled on price or even included inside illustrations yet. If you want to pop over to the public page at leanpub, you can suggest a price. I might make an early release without illustrations if enough people think that's a good idea. Of course, I would release it at a lower price initially since it's not all there, or at least give coupons for people who want to be a part of this process. Sounds like a valuable contribution about the work of Scrum Masters! Keep going. A cover comment: I don't see a connection between the beautiful picture and the title, subtitle and tag line of the book. 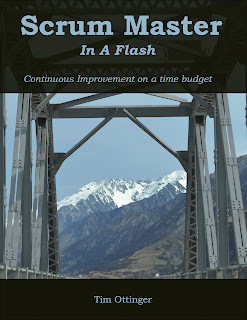 The text mentions "flash" and "time budget." The picture is a bridge and a mountain. Your the description of the book context, Scrum Masters that are "dual-role" also does not connect to the title. At least, the connection does not seem direct to me since the title and other cover text seems to mention time and a multi-role Scrum Master is not a problem only of time management. Yeah, I'm not settled on whether the picture should be related or not. Some friends suggest it's not too important. Looking through my technical books collection, I see the inkwell-and-quill on "Everyday Scripting with Ruby" (quite sensible) and then the pickaxe book, the O'Reilly animal covers, or the distant galaxies on R.C.Martin books, and the recumbent bike on the cover of Lean Software Development. But this is leanpub, and I can change it if I happen to see something that steps out and says exactly what I want it to say. Changing the background is one of the simplest things to do. If you find something that speaks to you, please let me know. I'm happy to change it to something more apropos. Drop me a note (tottinge@gmail.com) and let's talk about this more? Sounds great! It will be very helpful for scrum masters. Thanks for sharing.